Sons of Liberty distillery is doing some exciting work in the tiny state of Rhode Island. 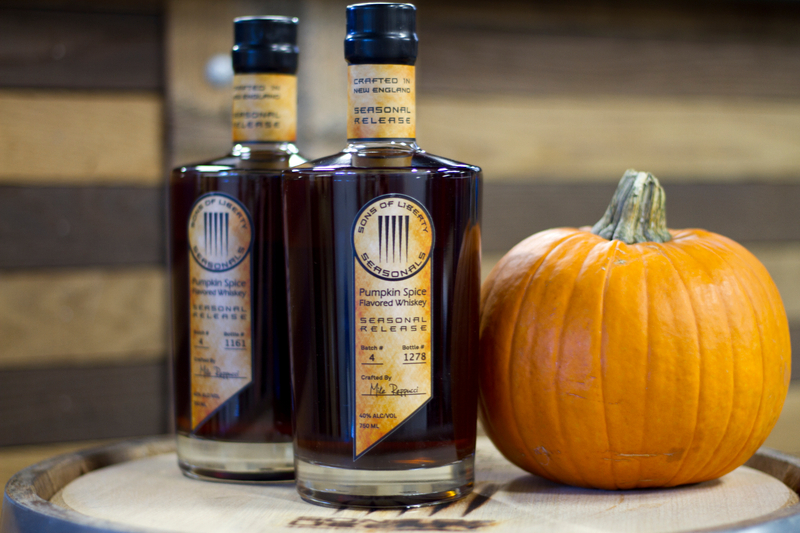 Today we look at two new offerings — an innovative gin and an update to its pumpkin-flavored whiskey. Thoughts follow. Sons of Liberty True Born Genever Style Gin “The Belgian Wheat Act” – How’s this for obsessive. With this genever-style gin, Sons of Liberty started by taking the botanicals that are traditional in gin — coriander, lemongrass, orange peel, and vanilla (well, some of those are traditional in gin, but anyway) — and using them to brew their own beer. SoL then distilled the Belgian Wheat beer (hence the name) and turned it into gin. Instead of taking neutral spirit and flavoring it, they’re flavoring the liquid that goes into the distillate to begin with.